For the record, we are not a vegan family, and only the females are vegetarian in our family. They boys eat organic meat. I have been a vegan, but my pregnant body demanded more, so dairy reentered my diet ten years ago. Even though we are not strict vegans, we incorporate many vegan recipes and meals into our daily life. 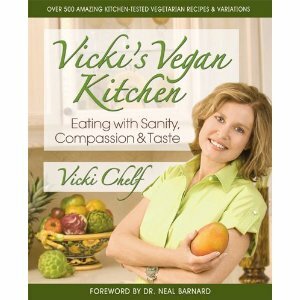 Vicki’s Vegan Kitchen: Eating With Sanity, Compassion & Taste is full of delicious recipes and instructions. These nutritionally balanced meals sometimes try to imitate meat dishes, like “Vegan ‘Chopped Liver'”, whereas others simply stand alone in taste and uniqueness, like “Cucumber-Wakame Salad”. Veteran cookbook author Chelf (Cooking with the Right Side of the Brain) expands the vegan culinary universe in this collection of 375 meat-, egg- and dairy-free dishes for those with dietary restrictions. Yes, there are smoothies, Tabouli, and Hummus, but Chelf helps readers expand their diets with vegan versions of pizza, lasagna, and even Cheez Whiz in this accessible and imaginative guide. Chelf’s creative concoctions enable vegans to enjoy French Toast, béchamel sauce, pie, and a mock beef stew that finds its umami in seitan, tahini, and liquid aminos. A guide to vegan-friendly sources for key ingredients, and foods to avoid or seek out ensures larders will be stocked with healthy staples. Helpful step-by-step instructions for baking bread and making noodles, and tips on sprucing up soups and smoothies inspire confidence and enable cooks to expand their culinary repertoire. Though special ingredients are often required for many of her dishes, Chelf does an admirable job of keeping things as simple as possible. This is a terrific guide for vegans tired of settling for a salad. There are plenty of recipes in this cookbook that would be a wonderful addition to any meal. Whether your family is 100% vegan or you have a vegan guest, everyone will love these dishes. Here is a recipe from Vicki’s Vegan Kitchen: Eating With Sanity, Compassion & Taste I have yet to try, but sounds yummy! Preheat ove to 350 degrees F. Generously oil and flour a standard 12-cup muffin tin and lightly sprinkle with 1 tablespoon of the flaxseeds. Place the rice bran, barely flour, cinnamon, baking powder, baking soda, and raisins in a large bowl, and mix well. Add 1/2 cup of the flaxseeds to a blender along with the water and vinegar. Blend until smooth. Add to the flour mixture and stir quickly until just mixed. Bake for 35 to 40 minutes or until a toothpick inserted in the center of a muffin comes out clean. Remove the muffins from the tin an serve. I still remember as a child looking for a lost dog or cat. We would drive around with the window down yelling our dog’s name. We would shake dog food bags and yell, “Treats!” I was so full of anxiety and worry. Now that I live in the mountains, my dogs sometimes go running. Usually they go to the river, but sometime they visit a neighbor. Sometimes they are gone for hours. With Tagg-The Pet Tracker, I can now find them and not worry when they will come home. Bear hunters use GPS expensive collars to track their dogs when they have treed a bear. The concept for Tagg is similar, only it is for our beloved pets. Tagg is an advanced GPS tracking device purpose-built for pets, that will notify pet parents through text and/or email alerts if a pet leaves his safe zone—and allows their current location to be tracked so the pet can be brought home. 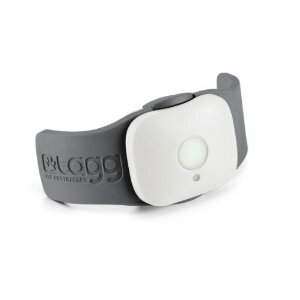 The lightweight Tagg tracker attaches to a cat or dog’s existing collar, is designed to be worn at all times, and can operate for up to 30 days before recharging. A Tagg master kit is $99.95 which includes one month of free service; after the first month, service is $7.95/month. If you can afford the monthly service, and your pet disappears frequently, I think this is a great product! It certainly would give me piece of mind, especially since one of my dogs has been found many miles from home when he wandered. I like that this GPS collar is more humane than a shock collar. As long as your pet doesn’t lose the collar, I think it is worth it. Tagg even has an iPhone app! The stick is a universal toy. Totally natural, all-purpose, free, it offers limitless opportunities for outdoor play and adventure and it provides a starting point for an active imagination and the raw material for transformation into – almost anything! As New York’s Strong National Museum of Play pointd [sic] out when they selected a stick for inclusion in their National Toy Hall of Fame, ‘It can be a Wild West horse, a medieval knight’s sword, a boat on a stream, or a slingshot with a rubber band . . .’ In this book Fiona Danks and Jo Schofield offer masses of suggestions for things to do with a stick, in the way of adventures and bushcraft, creative and imaginative play, games, woodcraft and conservation, music and more. Would I buy this book? Yes. 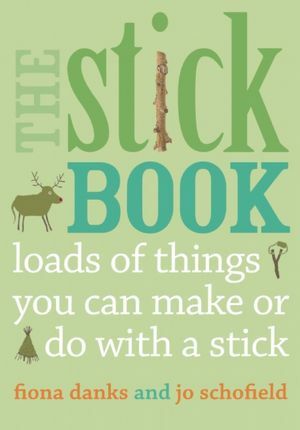 You might think, “Why would I need a book to tell me how to play with sticks?” This book gives you so many ideas and inspiration from the photographs. I think it is worth it! Kids (and some adults) like candy, so why not make it “super”? No high fructose corn syrup and low calories mean you don’t have to worry about your children eating this “supercandy”. Plus, Snap Infusion is packed with vitamins; however, it appears to not be vegetarian. a quick and delicious snack made from stuff you can feel good about devouring. 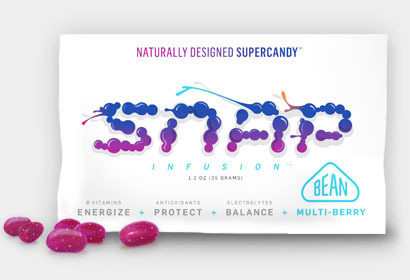 SNAP is packed with B vitamins to boost your energy, antioxidants to keep your immune system strong, and electrolytes so you don’t get dehydrated and end up a dried-out shell of your former self. Snap Infusion is made in the USA. It’s probably no coincidence that gelatin rhymes with skeleton—because that’s exactly what it is—animal bones (along with animal skin, hooves, tendons, ligaments, and cartilage all boiled together into a goo that’s added to all kinds of candy and baked goods). Would I buy this product? No. Unfortunately, this “supercandy” is not vegetarian or organic. I admit, when I used toddler cups with my kids, I did use plastic at times. Granted that was over five years ago and there weren’t many glass options. I did rely heavily on the [amazon_link id=”B0010XEMRI” target=”_blank” ]Klean Kanteen sippy cup[/amazon_link]. 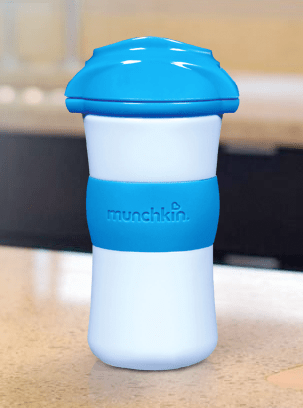 I do understand the fear of glass breaking as toddler bang their cups on the counter or drop them, and I did prefer cups with handles for gripping, like the Munchkin Mighty Grip Trainer Cup with my own children. Make the transition from bottle to sippy cup a smooth one with our new BPA-free Click Lock cups and these tips from our friends. We have been sent four different BPA-free plastic cups by Munchkin. These products do feature silicone spouts, are dishwasher safe (although I wouldn’t recommend it), and are made in China. Would I buy these products? Probably not. If I had it to do all over again, I would avoid all plastics, BPA-free or not. I just don’t trust them, and more alternatives exist today. I would stick with the [amazon_link id=”B0010XEMRI” target=”_blank” ]Klean Kanteen sippy cup[/amazon_link] and/or [amazon_link id=”B0052QOL1Q” target=”_blank” ]Lifefactory glass bottle sippy cup[/amazon_link]. I don’t really care about spill proof, as I think that is how children learn about liquids, gravity, and volume is by actually spilling drinks. In fact, I always took the valves out of my children’s sippy cups, even the Klean Kanteen, so they would learn to drink without a lot of sucking and the natural consequences of turning a cup upside down.